Innovation is the answer. GoInnovate! makes it happen. 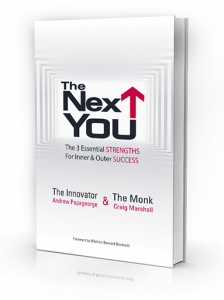 The Next You Book – Learn The Three Essential Strengths for Inner and Outer Success. 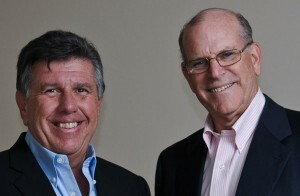 Andrew & Craig spent 35 years researching those rare people who achieved complete life success. Author Michael Beckwith wrote, Never before has a master innovator partnered with a yoga monk to offer such a skillful formula for success. Meet The Innovator & The Monk Andrew Papageorge has lead hundreds of innovations across the globe and been a pioneer in the science of innovation. Craig Marshall was a yoga monk for 35 years. His visionary work has awakened thousands around the world. 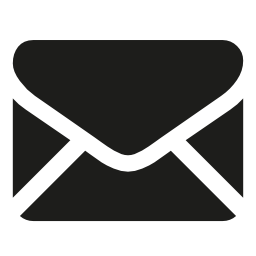 Together, The Innovator & The Monk have have worked with over 250,000 people, supporting both professional innovation and personal growth.